Unspoilt, peaceful, Georgian country parish church, mostly dating from 1719-20 but built on the foundation of a much older church. From the outside, it is a handsome church, X-plan, with an additional wing at the west end, topped by a belfry tower, containing the ducal retiring rooms. 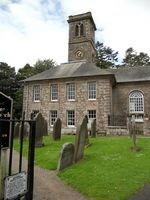 The interior, renovated 1784-5 and re-arranged circa 1870, has a typical presbyterian layout with central pulpit and three galleries. Many of the box pews have a central communion table. The north aisle of the church is taller and more sophisticated, built for the Duke of Queensberry and remaining from the earlier church. 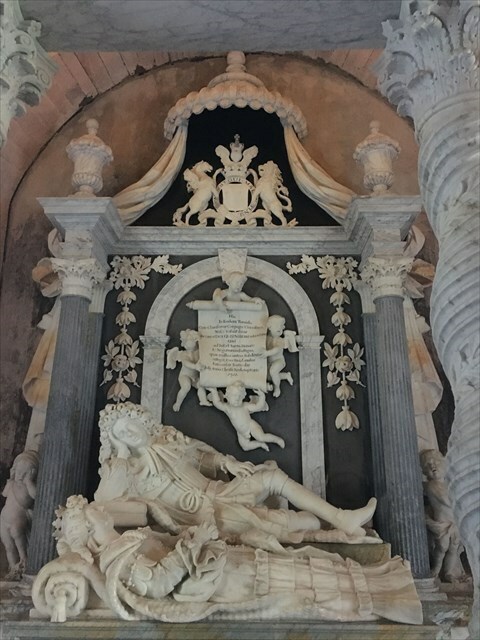 Inside the Queensberry Aisle is the real jewel of the church: the most amazing monument for the Queensberry burial vault, a baroque mural monument and free-standing baldacchino carved in 1695 by John van Nost to the design of James Smith who was also architect of the later church. A riot of swagged fabric, garlands of flowers, urns, barley-sugar columns, cherubs, skulls and pediments, all in gleaming white marble. 'There are few buildings in which baroque magnificence and presbyterian decency are so happily combined.' (George Hay, Architecture of Scottish Post-Reformation Churches). 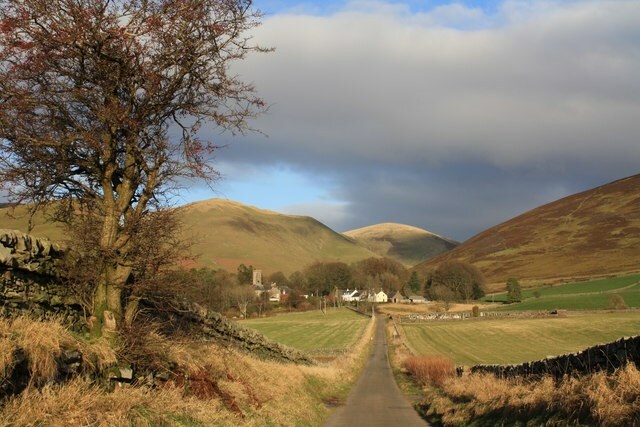 The churchyard contains some fine 17th-19th century stone monuments, many with classical ornament, including the martyr's monument to Daniel MacMichael and the 1685 monument to the children of William Lukup, Master of Works at nearby Drumlanrig. “If anybody would like to expand this series please do, I would just ask that you could let Sadexploration know first atchurchmicro@gmail.com so he can keep track of the Church numbers and names to avoid duplication. Please note that the cache is hidden outside the church graveyard. Thanks to Gail Burton for allowing me to use her photograph of the Durisdeer marbles. Onfr bs gerr ng erne.